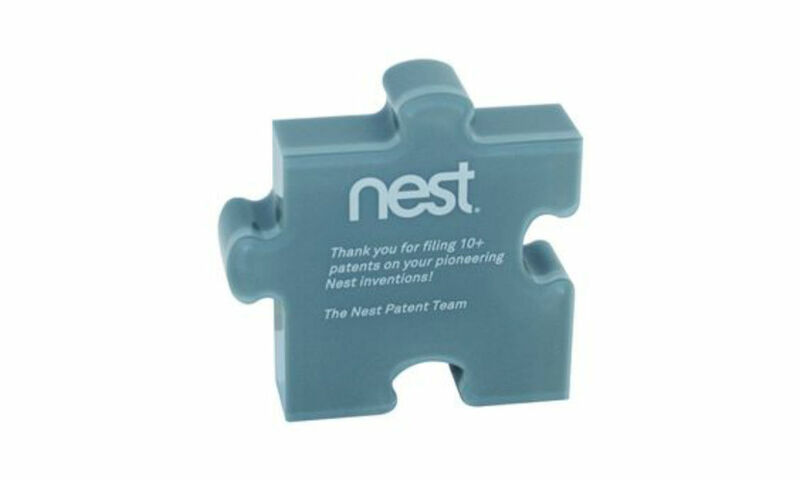 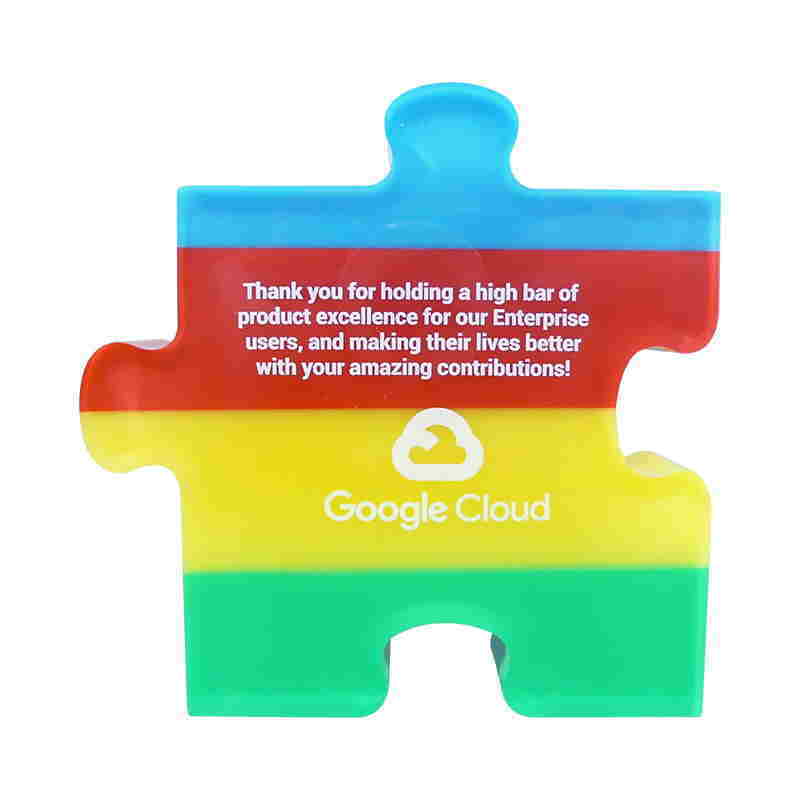 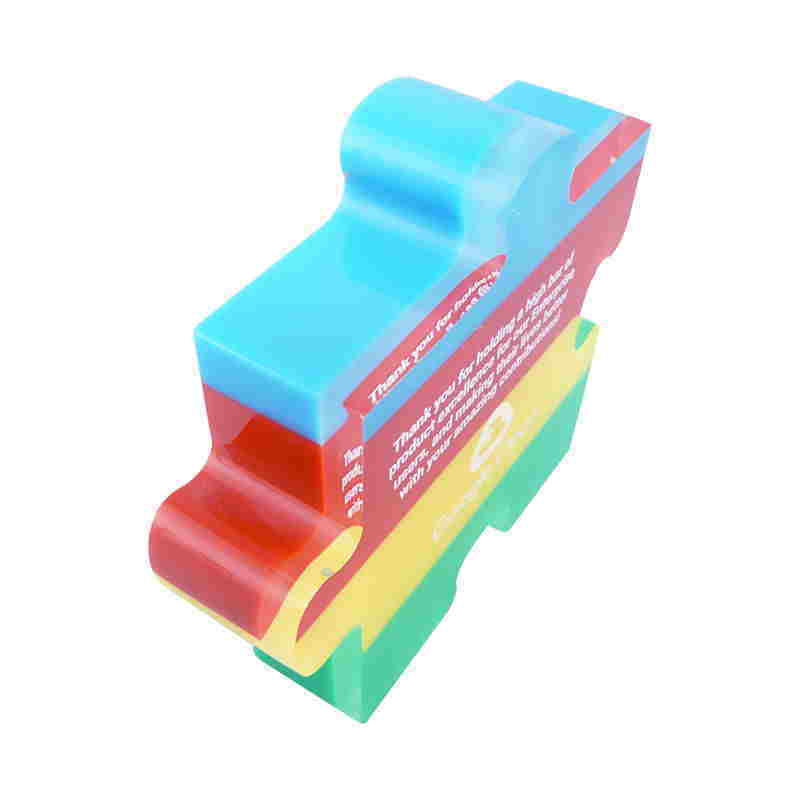 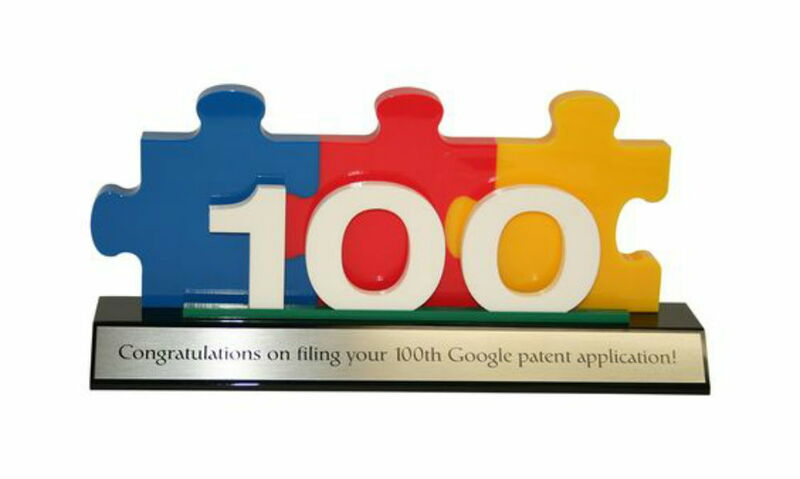 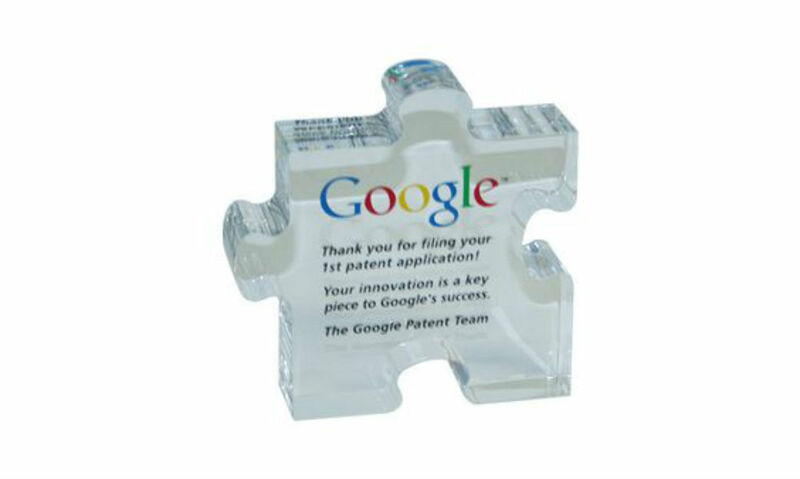 Custom acrylic award recognizing Google employees on the filing on their 100th patent application. 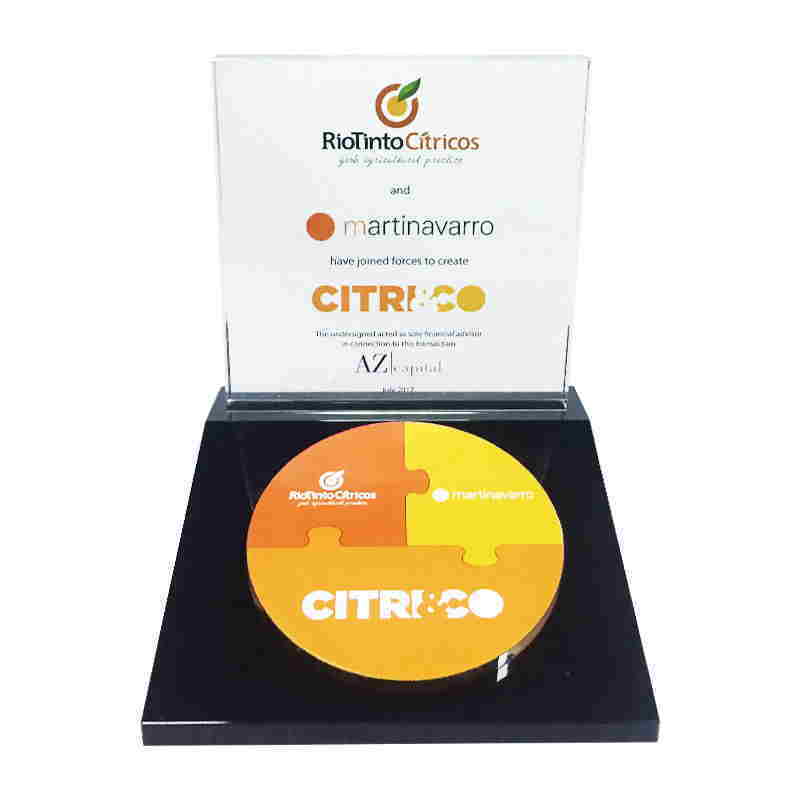 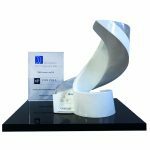 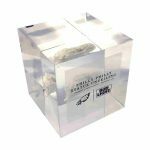 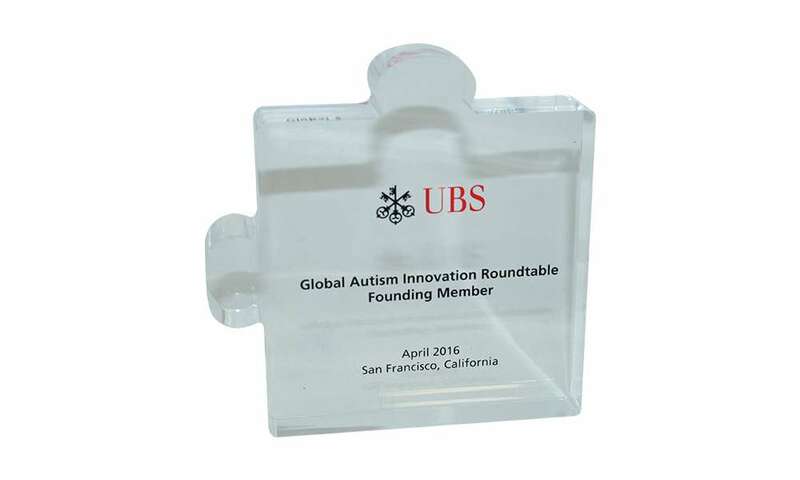 Puzzle-themed crystal award celebrating a joint corporate venture Rio Tinto Fruits and Martinavarro. 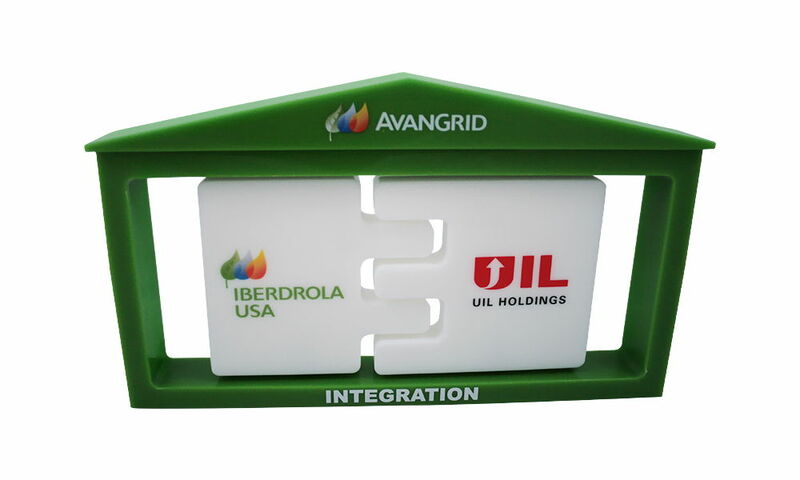 The alliance forms the largest citrus company in Europe.